Things have been speeding up quite a bit in the last few weeks ahead of the season. 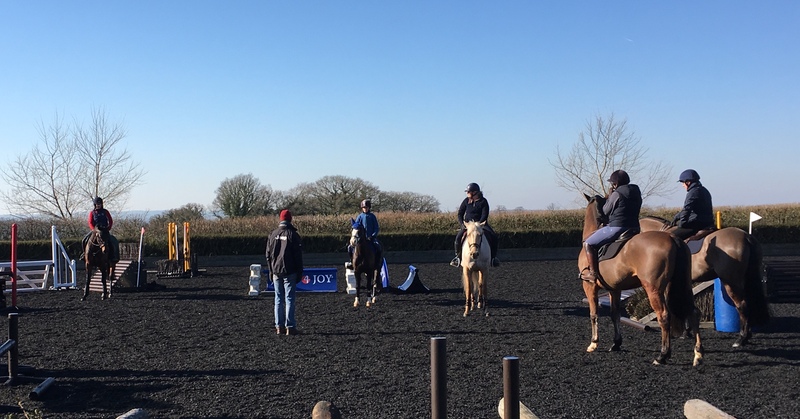 Last week started off with a couple of days team training at Addington with Chris Bartle and Dicky Waygood. Luckily I was able to take four horses so they were able to benefit from their first outing this season, and they were all very happy to be at Addington. Little Fire was very lit up by the jumping but put in some good work, and then did some nice work doing the 4* test for Chris Bartle the next day. Some of the work was a little bit beyond him at the moment but he showed lots of smart bits. Fernhill Pimms jumped well on day one and Chris has given me some ideas to take away, and in the 4* test he did some very smart bits. I took Barrichello who went very nicely on both days, but unfortunately Sarah Hughes has now removed him and Shannondale Percy for some reason. It is a shame not to have them this season and I will miss having them as part of my team. Oratorio jumped the best of them all and was very careful, but as always quite on his toes. In the dressage the next day he gave some lovely work and really started to nail some of the 3* movements. The very next day it was straight on to doing a clinic with Rachel White in Swansea. I had two very good days teaching, we were very lucky with the Welsh weather and Rachel’s arena worked well. It was quite busy teaching 30 each day, but I think I wasn’t too rude and everyone had some fun. Friday was a good day at home with a chance to give all my horses a quick jump. 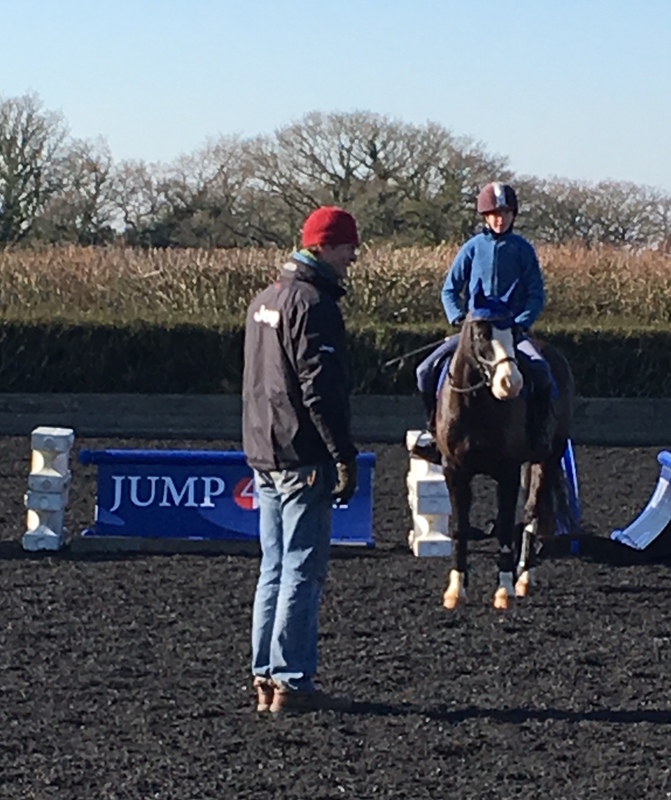 I am very lucky to have had a large selection of Jump 4 Joy jumps arrive at the yard this season, so I was able to do my own bit of arena eventing, which all of the horses really took to. Saturday and Sunday were two more days of Clinic, but this time I held them at Wood Lane Stables. The weekend was a great success. 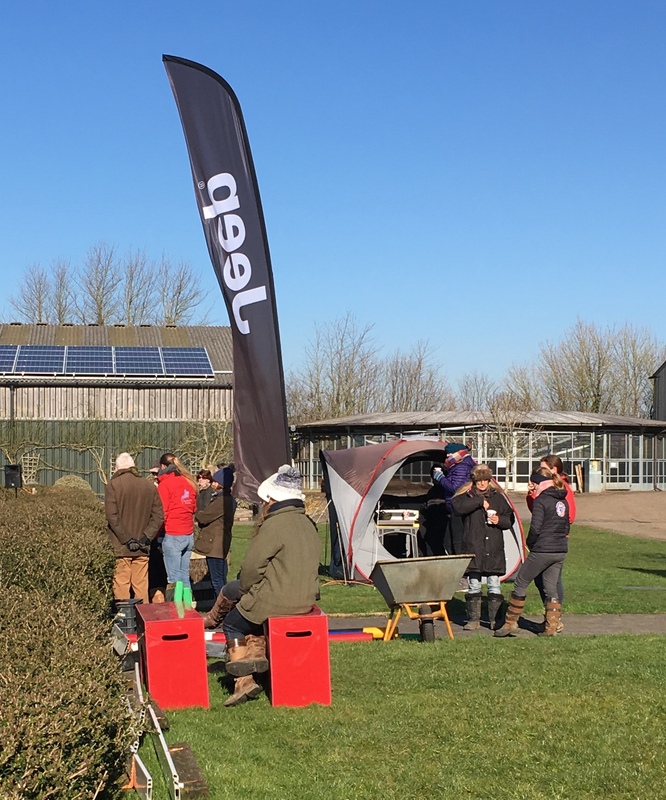 Jeep had a fantastic presence with a hospitality unit and four cars, Charles Owen and Airowear were also here, and so were the Theraplate team demonstrating using my new theraplate system. We had a quieter day on Saturday as that was the day Kazu was leaving for Portugal with his three horses. On Sunday we were jumping the Jump4Joy fences and everything went to plan. On Monday it was then my turn with Yogi Briesner here for the first time since pre-Rio training. It was great to jump my horses with him, and it was as always very useful to have his view, and then today it was Tracie Robinson’s turn to sort my dressage out. So we have been busy, the weather is now freezing cold and there is obviously a big question mark hanging over whether or not Moreton will happen on Saturday. I have got five horses entered which will be fairly crazy, but they are all dying to get out.